10 reasons ... to join? What inspired and motivated our current members to sign up and get involved? 1. I want to know where my food comes from! 2. On retirement and with more time I want to gain new skills and knowledge and be involved in something by the community, for the community. 3. We enjoy fresh local produce, knowing that it doesn’t create loads of Co2 in being transported or being plastic wrapped. 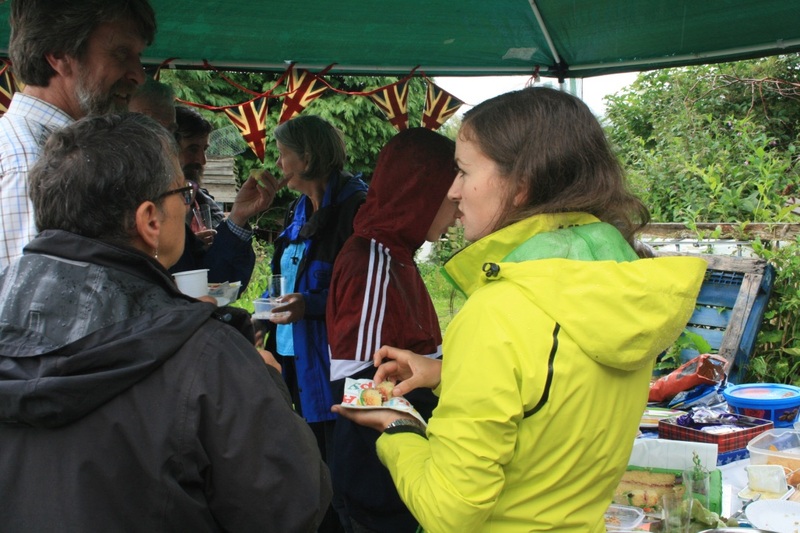 And I want to invest in my local community – the social side of Go Local Food is great too! 4. I am excited by the idea of building a community that takes action to explore a more sustainable way of producing our food, and being directly involved in all the decisions made – I haven’t been disappointed! 5. I like eating food that’s grown locally and being part of a community that shares same interests. That was 5 years ago. We still love it for the same reason and now also because our 2 year old daughter loves collecting vegetables from the field. She takes her own bag and helps to weigh the veg. It’s great for her to learn about food this way. 6. I appreciate eating good vegetables and I know Go Local is ‘hands on’ and ‘informative’ about vegetable growing. 7. My family comes from farming backgrounds and we’re used to growing things. My grandparents had a big vegetable patch and we used to have great times helping around with the planting and harvesting. It also tastes so much better when you know where your food comes from! 8. I want locally grown seasonal produce without inorganic fertilisers and pesticides. 9. I am lucky enough to have fabulous fruit and veg from our allotment and wanted to support GO Local Food so that other folks can also enjoy locally grown fresh food. 10. Well, the whole thing sounded awesome and inspiring and really important and therefore something I wanted to get involved in! I wanted to learn interesting new outdoors skills in the company of people who shared my ethical viewpoint. Do any of our interests match yours?